Identify 25 secret agents, using word clues from the Spymaster and avoiding the Assassin! 2-8 players. 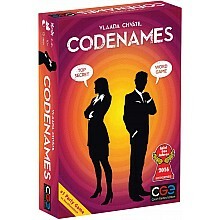 From Czech Games, for ages 14 yrs-adult. 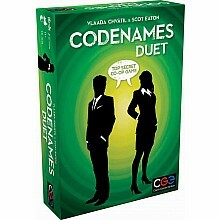 Cooperative twist to the original Codenames - work together to identify the secret agents. 2-8 players. From Czech Games, for ages 11 yrs-adult.